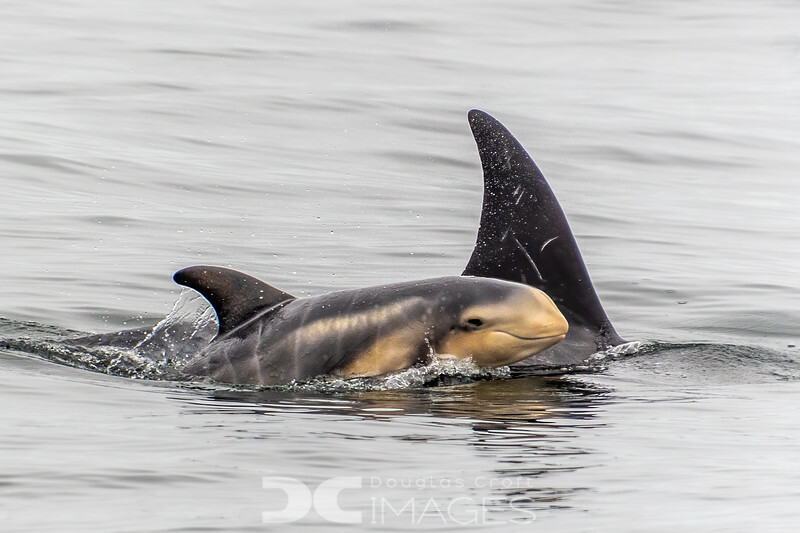 A playful Risso's Dolphin calf in Monterey Bay. If you look closely, you can see fetal folds are still visible. This is a very young calf!